Two bills passed the General Assembly and have been signed into law by Governor Malloy that will help enable cities and towns to preserve more land for community farms. Public Act 13-104 will allow a municipality to purchase and hold the development rights to agricultural land located in another town. Municipalities have been able to hold development rights on land within their town, but until now could not hold development rights on any land outside their town. Public Act 13-59 allows a municipality to purchase and hold restrictions on agricultural land that limits or prohibits the construction of farm buildings on the land if the owner voluntarily offers to sell or donate those rights to the municipality. House Bill 6690 would have authorized the appointment of an attorney to represent one or more animals in cases of animal cruelty or neglect. This bill passed the House but died on the Senate calendar. Similar bills have been filed in recent years, so we expect a similar bill will be filed again next year. 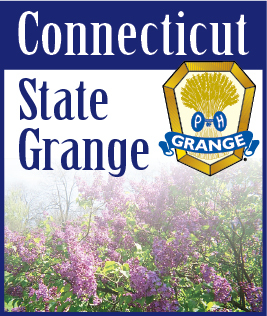 Two bills the Grange opposed would have reduced the time prisoners must serve behind bars if they participated in certain programs to reduce their risk to society. Public hearings were held on both of these bills but the committee chose not to move them forward. Similar bills may be introduced next year.